How to Make Clear Slime INSTANTLY! 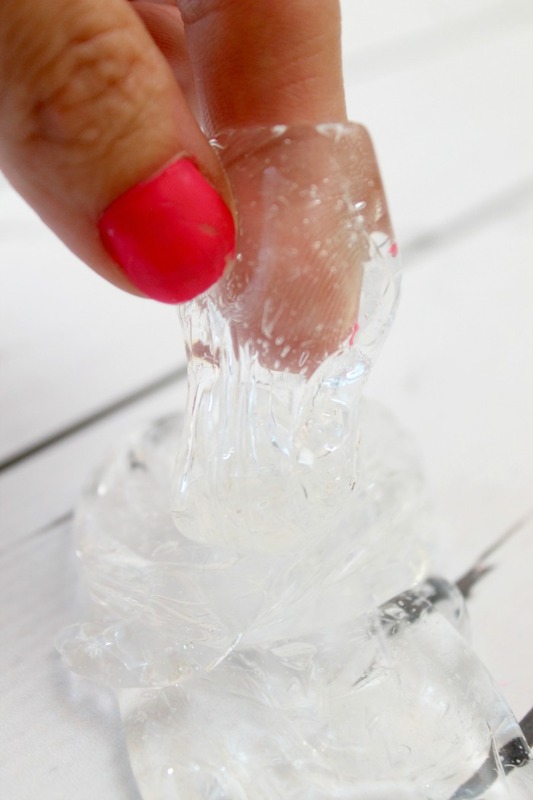 There are several ways that you can learn how to make clear slime, but this slime recipe is my favorite. 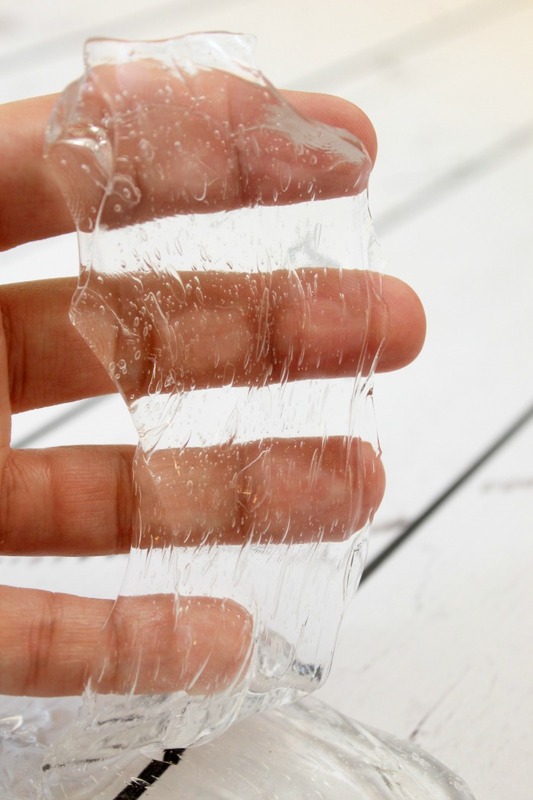 Clear Slime is super easy to make but with this slime recipe you’ll get instant slime that is crystal clear without having to wait for the air bubbles to clear. 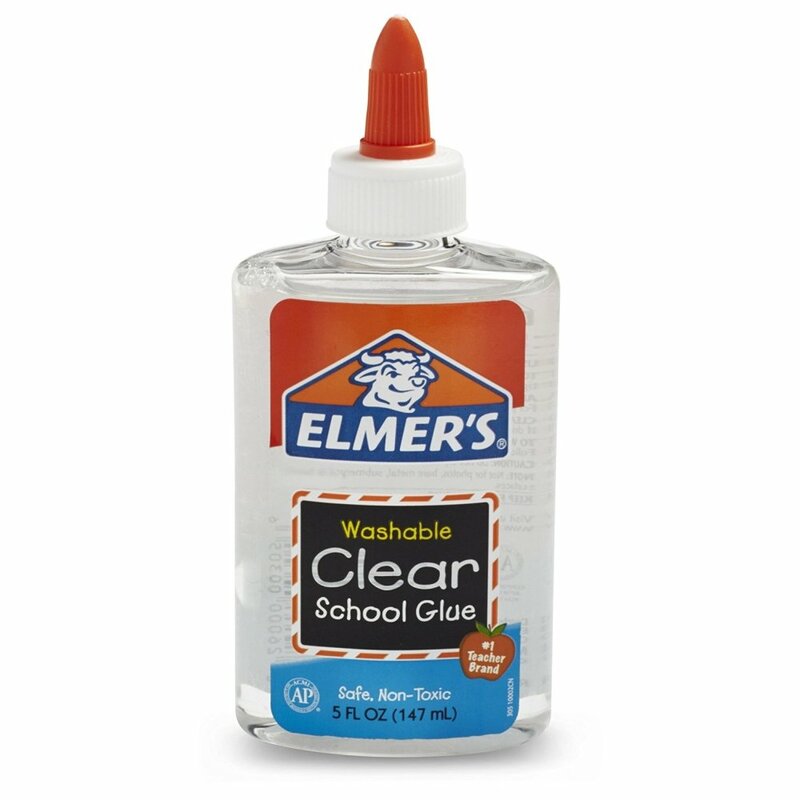 TIP: Here is where I get my clear glue which is cheaper than in stores. 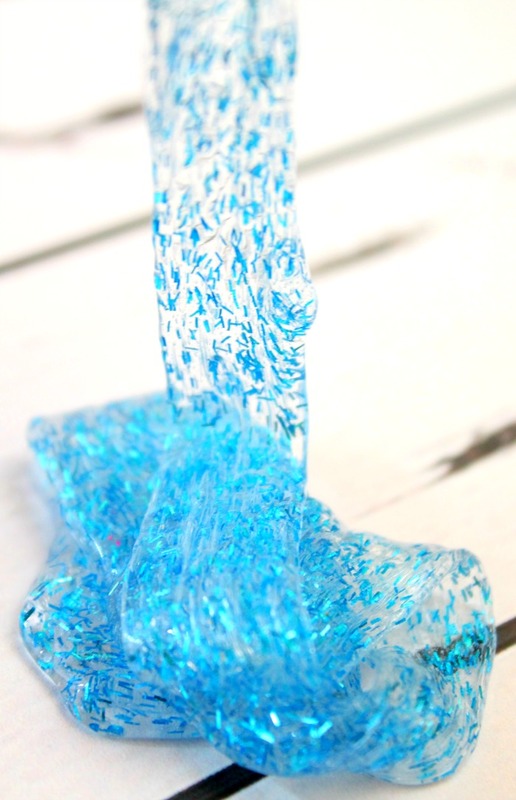 Clear Slime is SO Fun to Make! I absolutely love clear slime! It’s so much fun to make but even better are the endless amounts of creative things you can do to this slime. You can add color to it with food coloring. 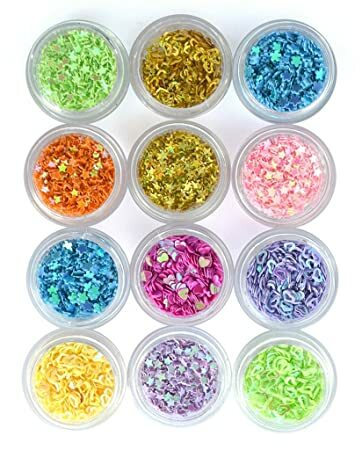 Make glitter slime by adding your favorite color of glitter or you can add fun accessories to it for sensory play. 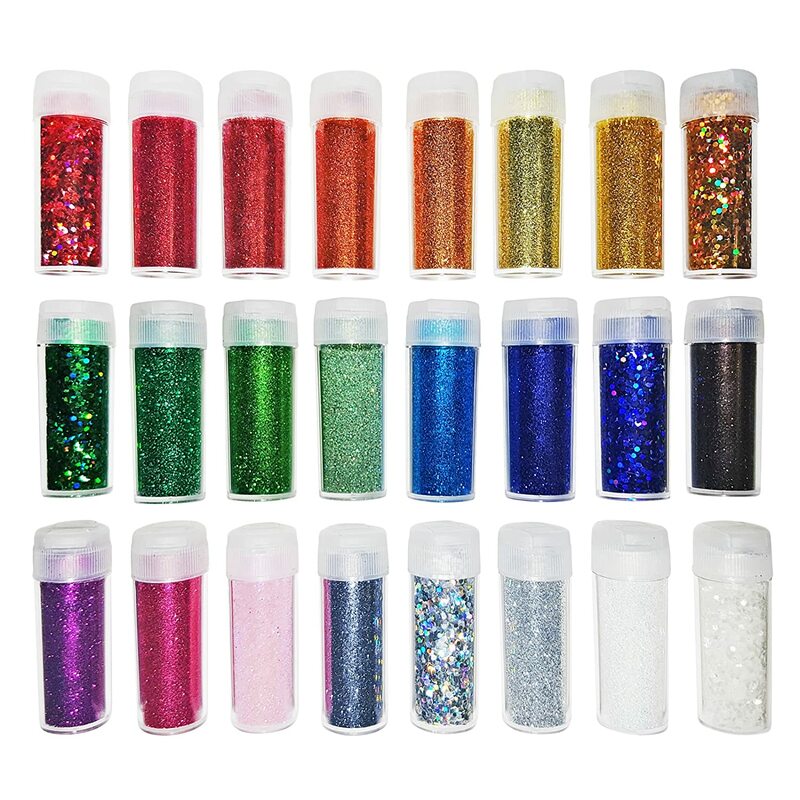 Here is an example below of what glitter looks like when you add it to this slime. Before you start to make your slime you are going to need to make your slime activator. 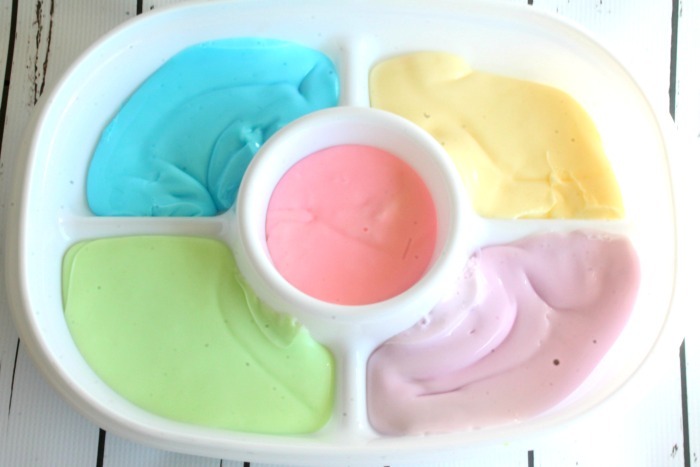 For this particular recipe I am going to be using a borax slime activator recipe. This just seems to work the best for me. Slime Activator (1 Part Borax and 1 Part Hot Water) You can find my borax slime activator recipe here. After you have made your activator, set it aside to let it cool. 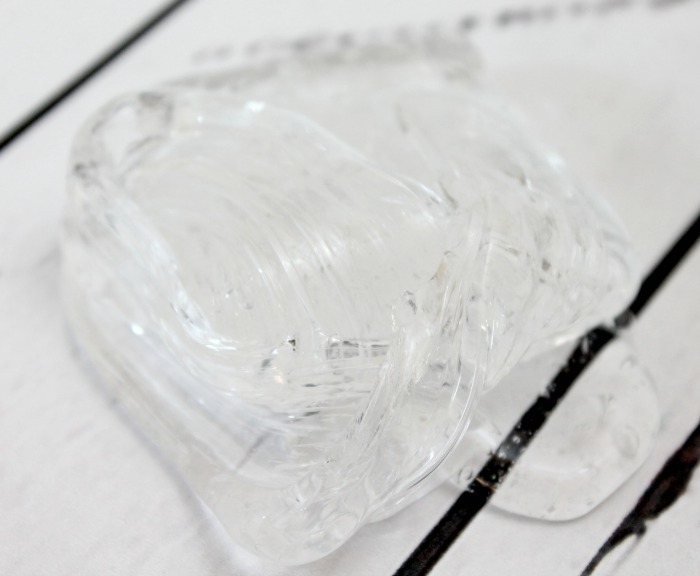 Next in a small bowl GENTLY mix together the 4 ounce bottle of clear glue with the 1/8 cup of water. Make sure you don’t over mix or it will cause a lot of bubbles. Now you are going to slowly pour your glue mixture into the borax mixture. Remove any bubbles from the top. IMPORTANT: Let the slime sit in the borax mixture for a few minutes. With your hand gently mix the slime with the water. It will turn into a big glob. Knead for about 20 seconds in the water. 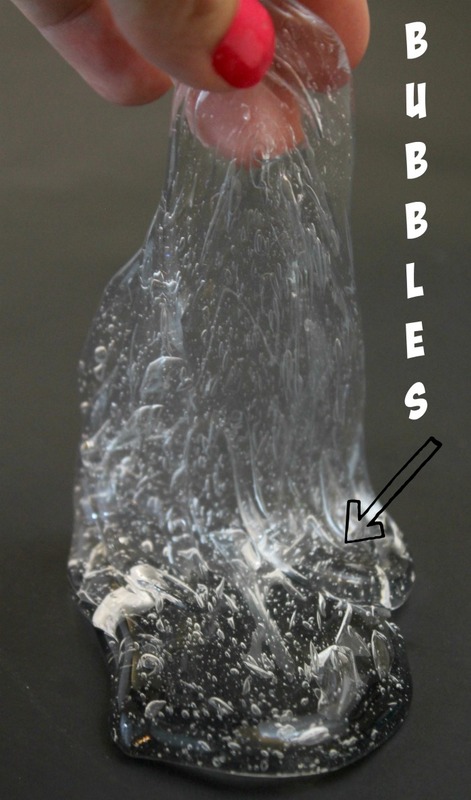 Take the Slime out of the Borax solution and place it on a hard surface. You are going to gently knead it to combine the slime and borax together making the perfect clear slime. 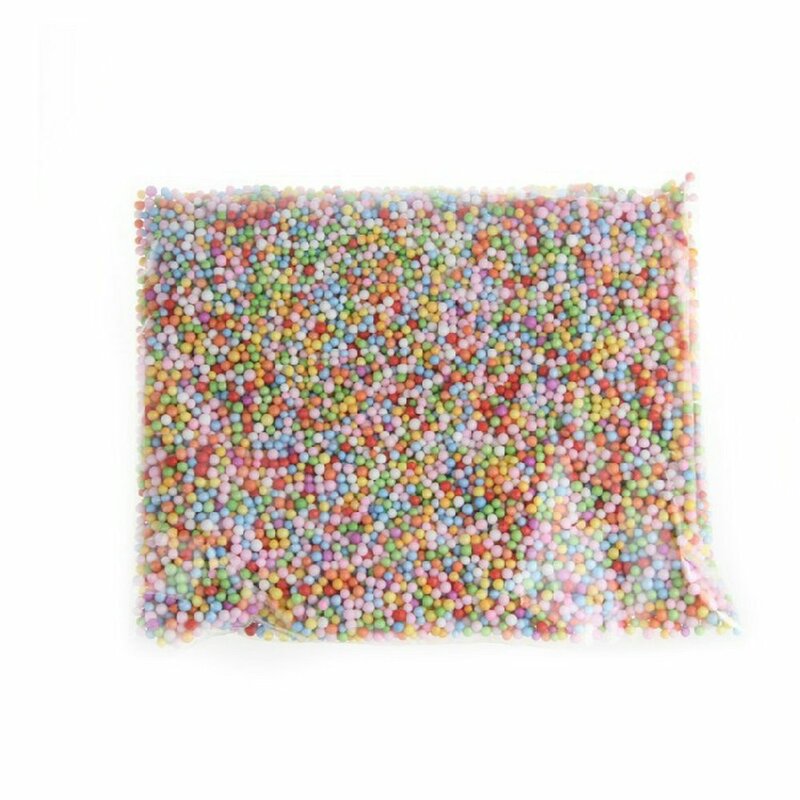 You can easily keep this clear slime clear or you can jazz it up with fun accessories. 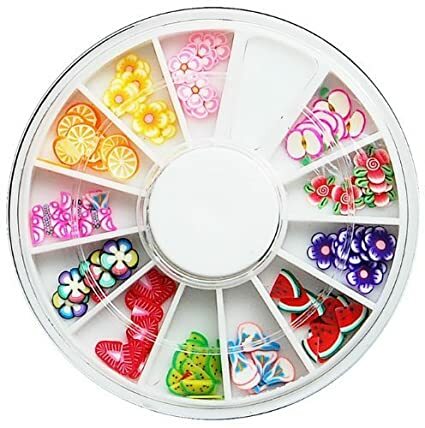 Some of my favorites include glitter, styrofoam balls, food coloring, or even small decals. Here are a few of my favorites. 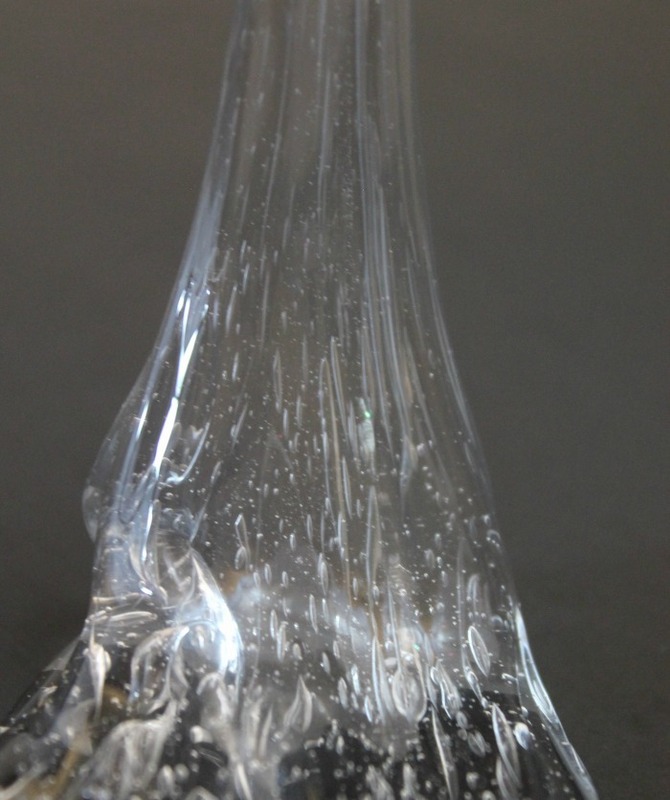 This slime is immediately clear but once you start to play with it you will notice that it might start to not be so clear. That’s ok! That’s the bubbles forming within the slime. To make your clear slime clear again just place your slime in a small container (Like This One) and cover it with a lid. Let it sit for a few days and the air will rise to the top, making your slime crystal clear again. I have tons of great slime recipes that will keep your kiddos (or you) busy for hours. You can find all of them under the Best Slime Recipes tab by clicking here. Or check out some of my favorites below. Just click the picture and it will take you to the recipe. ENJOY! You left it in the activator too long. You are supposed to leave it in for seven minutes. Also, make sure the activator covers the top of the glue. Hope this helps! It worked very well I was pleased with the result. Your directions are confusing or maybe it’s just me. You say to put glue mixture into the Borax solution then you said to start mixing it with the water. 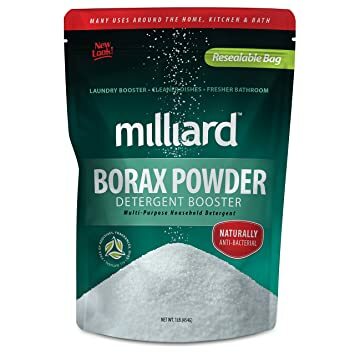 After that you said to take it from the Borax solution. So I’m assuming, you mean to mix it with the Borax solution. I’m confused! I can’t wait to try this out thanks.